Austin-Sparks.Net - "Written Not With Ink"
This is a collection of messages sourced from a manuscript sent to us by Mr Herald Hsu. 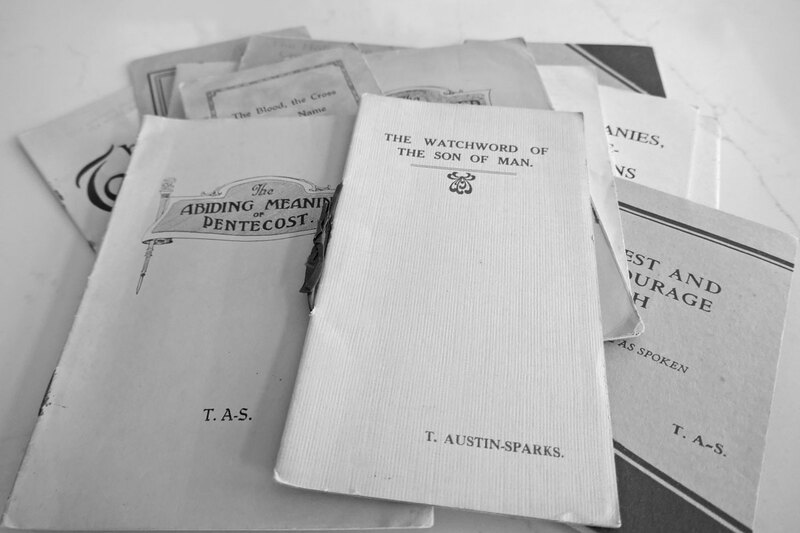 These messages were given in 1957 by T. Austin-Sparks in Taiwan. Chinese believers subsequently prepared transcripts from recordings of the meetings. It would appear that the audio recordings are no longer available. The spoken form has been retained, however, due to English not being the transcriber's first language the messages have required some editing to convert them into correct English. The editor has also added a book title, chapter titles, headings and italics, as these were not in the original transcripts. Although these messages were spoken over fifty years ago, we trust that these living words will be "written not with ink, but with the Spirit of the Living God" in your heart! Meeting 18 - "My Spirit... Upon You"
Meeting 19 - "The Lord is There"